Immunostimulants stimulate innate immune components mostly and the fish do rely more on the innate immunity to prevent from diseases. These immunostimulative substances mostly activate the phagocytes and their function along with production of acute phase proteins to render protection against diseases. Many such substances such as glucans, levamisole, chitin, lipopolysaccharides, lactoferrin, vitamins C and E, hormones, CpG-ODN and nucleotides have been reported to increase protection against bacterial, viral and parasitic diseases in fish. Immunostimulants increase resistance to infectious disease, not by enhancing specific immune responses, but by enhancing innate immune defense mechanisms. There is no memory component and the response is likely to be of short duration. These immunostimulants have been used for medical and veterinary sciences. Research into fish immunostimulants is developing and many agents are currently in use in the aquaculture industry. 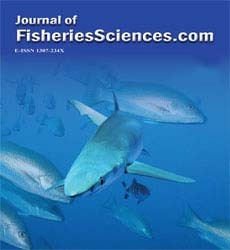 Use of immunostimulants, in addition to chemotheraputic agents and vaccines, has been widely accepted by fish farmers. However, several questions about the efficacy of immunostimulants from users still remain. In this review, its use, particularly on its dose and time of application will be described. Unlike antibiotics that is applied usually after disease incidence, immunostimulants should be applied before the outbreak of disease to reduce disease-related losses. Immunostimulants can promote recovery from immunosuppression states caused by stress. The effective dose of immunostimulants should be determined carefully. Actually, the effects of immunostimulants are not directly dose-dependent. Several studies reported that high doses may suppress the immune function (Kajita Y, et al.1990). In this review, immunostimulants were discussed for control fish disease. The advantage of immunostimulants are thought to be safer than chemotheraputics and their range of efficacy is wider than vaccination. Thus, immunostimulants become powerful tools to control fish diseases. Sakai M, (1999) Aquaculture, 172, 63-92. Kono T. et al. (2013) Vet. Immunol. Immunopathol. 151 90-101. Matsuo K, Miyazano I, (1993) Nippon Suisan Gakkaishi, 59, 1377-1379. Kajita Y, et al. (1990) Fish Pathol. 25, 93-98.